Kwong Wen-Yin – Business woman travelling to U.S.
“Photo of Kwong Wen-Yin,” 1929, Section Six Precis for Traveler Class, Chinese Exclusion Act case files, RG 85, National Archives-Seattle, Kwong Wen-Yin file, Seattle, Box 1145, Case 11348/5-1. Kwong Wen-Yin was born in Canton, Kwangtung, China. She attended Iowa State University, Iowa city, Iowa form 1920 to 1927 and returned to China. By 1929 Fwong was an Assistant Manager of the Foot Ease Hosiery Mill in Shanghai. The firm was capitalized at $1,000,000 Mexican. 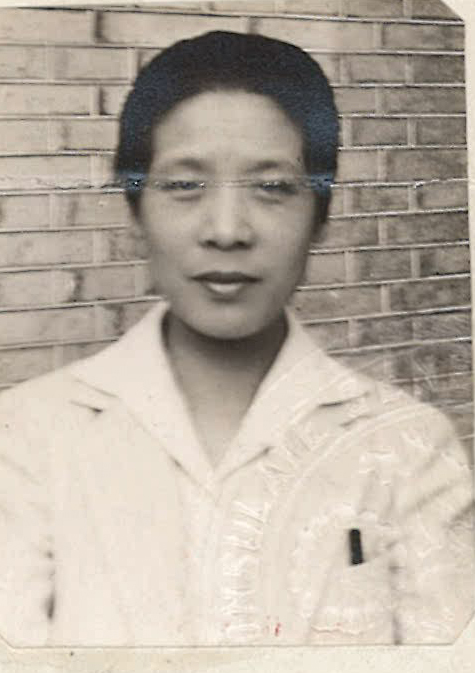 In July 1929 Kwong travelled to the United States to purchase hosiery machinery and investigate the hosiery industry on behalf of her employers. Mr. C. Raiford of Iowa State University and Mr. M. C. Chan, the managing director of her firm vouched for her. Her applicant was approved allowing her to stay in the U.S. for one year. She arrived in Seattle on 13 July 1929 in the s.s. President Jackson. There is no other information on her in the file.